This temple had been patronized by Tokugawa Ieyasu. 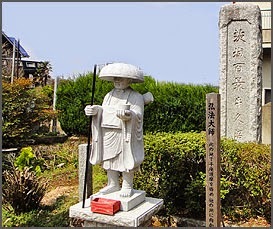 People pray first to Kannon to prevent senility, next to a statue of Yakushi Nyorai to grant general health and then to Kobo Daishi himself to help them "drop dead" in good health. pinpin ピンピン means genki, good health. stepping on sacred sand . 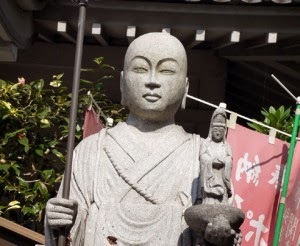 There is a Jizo to take away warts in the compound.
. ibotori Jizoo イボ取り地蔵尊 .
. Boke yoke, boke-yoke ボケ除け - ぼけ除け not to become senile . The Daishi Hall is on hill, overlooking the swamp Ushiku numa 牛久沼. 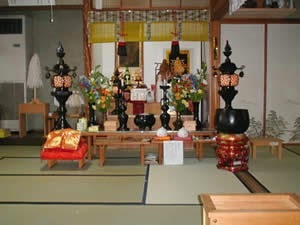 The temple was famous for enmusubi 縁結び finding a good partner and praying 長寿 long life, but now is more famous for its pokkuri visitors. 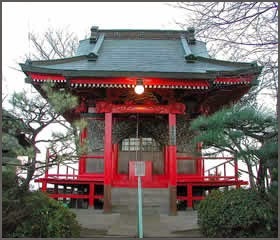 Kukai visited here around 808 and performed fire rituals to appease the local deities. 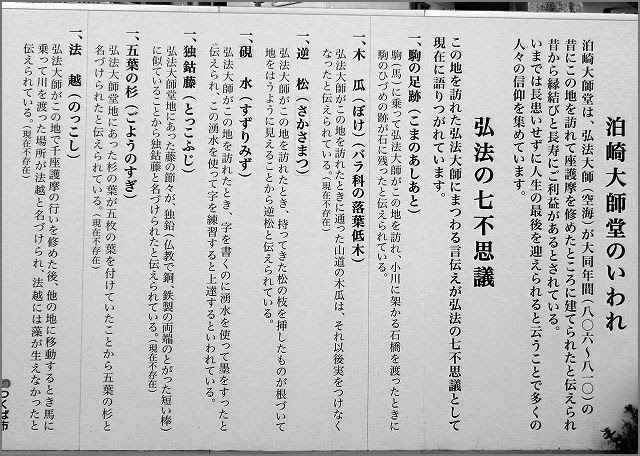 Once upon a time there was a cloth merchant in Oodakachoo 大高町 in Nagoya, named Tsu no Kuniya 津の国屋. The grandmother of this store was an ardent believer in Kobo Daishi and prayed to him every day. 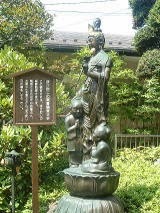 When she felt her final day come closer she took Kobo Daishi (?his statue) by the arm, went to this shrine and asked for an amulet. Then she went home and passed on happily. 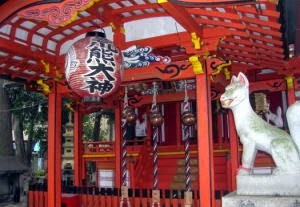 Arakuma Okami is also a protector of the health and people pray to get healthy soon.
. konya 紺屋 and aizome 藍染 deity . 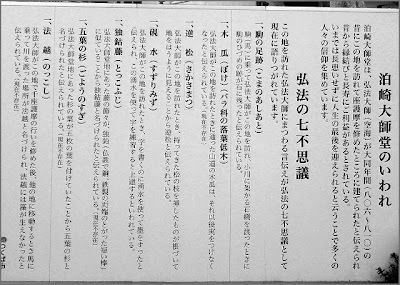 Once the dyer 大西 Onishi tried many times to make some 藍染 indigo dye but just did not hit it right. So he prayed to the deity 荒熊大神 for help. And indeed, the deity let him know how to prepare just the right indigo color. He could now make wonderful Yukata cloth and his reputation grew far and wide.